This weeks theme is books I could reread forever. Boy is this going to be a short list because I am just not much of a rereader. The Harry Potter series by J.K. Rowling. This is one series that I find myself wanting to read every few years (I rarely get around to it, but the urge does arise, so that's something). Fangirl by Rainbow Rowell - I've only read (listened) to this book once so far, but I immediately wanted to listen to it again right after finishing it the first time, so I'm counting it as a book I could reread forever. It by Stephen King - I've only actually read this book once, but it's in my plans to read it again at some point. Honestly, I'd probably re-read most Stephen King books. And that's really about it. I will drop some honorable mentions below that are books I reread more than once when I was younger though, just to flesh this post out a little bit more. Matilda by Roald Dahl - I literally read my copy of this book to pieces I read it so many times. A Girl from Yamhill by Beverly Cleary - It's kind of strange that the only book of Ms. Cleary's that I really remember reading is her memoir, and I know I read it a few times. The Little House on the Prairie series by Laura Ingalls Wilder - I found Ms. Wilder's life growing up in what became the midwest absolutely fascinating and read the entire series once ever year or so for a few years of my childhood. Caddie Woodlawn by Carol Ryrie Brink - Caddie's story was similar to Laura Ingalls Wilder's and I often read it almost in connection with the Little House books. Goosebumps by R.L. Stine - I'm not sure how many books from this series I really re-read, but I know there were a few (Night of the Living Dummy and Monster Blood for sure). There were so many books in the series and more every year that re-reading felt less necessary to get my fix. So looking at my list of re-read books from my childhood, it's clear to me that I enjoyed stories about precocious girls, and I'm fortunate that there were so many available about girls who were a lot like me. Not that I'm aware of, granted the way that I read multiple books at a time kind of prevents me from getting completely immersed in any given story, so I'm probably less likely to start taking on the characteristics of the characters that I'm reading about. The closest I'd say I've come is acting like Cath from Fangirl by Rainbow Rowell, but that's because we're practically the same person already and has nothing to do with my adopting mannerisms from her character because of the book. I waited way too long to read this book. I don't even really know why I waited so long, other than Courtney and I started this blog around the same time that I actually bought the book and it took me a while to get to the point where I started reading some of the books that I wanted to read instead of just books that we received requests for. If you follow my blog at all, you know that I love WWII era historical fiction. What I loved about this book is that it showed the lives of average Germans during the war. That's not a perspective I've seen a lot (or ever that I can think of off the top of my head). But Liesel's foster family wasn't exactly average either because they held unfavorable opinions about Jewish people, at least unfavorable by German standards during the war. Another highlight of this story was that it was told from the perspective of Death. It was a bit odd to get used to at first because he jumped around a bit, as Death is wont to do in the course of his work, but once I got used to it, it was a fun way to see things. While death isn't exactly omniscient, he does have access to information that a human narrator wouldn't have. I realize that I'm late enough to this party that you've probably already made up your mind about whether you want to read this book or not, but if you're still on the fence about it, you should absolutely not wait any longer. You're likely to regret it if you do, like I did. The Messenger (or I am the Messenger), published in 2002, won the 2003 Australian Children’s Book Council Book of the Year Award (Older Readers) and the 2003 NSW Premier's Literary Award (Ethel Turner Prize), as well as receiving a Printz Honour in America. It also won numerous national readers choice awards across Europe, including, in 2007, the highly regarded Deutscher Jugendliteratur Jugendjury prize in Germany, which he won again for The Book Thief in 2010. It is The Book Thief, however, that has established Markus Zusak as one of the most successful authors to come out of Australia. 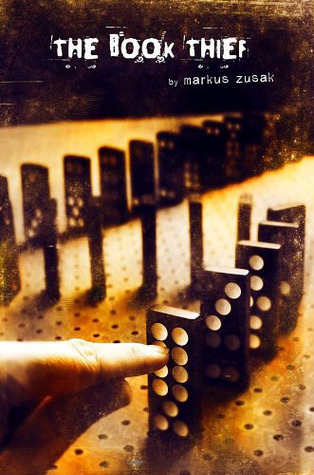 To date, The Book Thief has held the number one position at Amazon.com, Amazon.co.uk, the New York Times bestseller list, as well as in countries across South America, Europe and Asia. It has also been in the top five bestsellers in the UK and several other territories. It has amassed many and varied awards, ranging from literary prizes to readers choice awards to prizes voted on by booksellers. It was the only book to feature on both the USA and UK World Book Night Lists in 2012, and has been voted as Australian readers’ favourite book by iconic independent bookstore, Dymocks, three years running. Now that we are living back stateside again and I'm going to be living nearish to Denver at that, I'm hoping to get to start going to some bookish events and meeting some of my favorite authors. With luck I'll be in a financial position to fly to some events too, but I'm not getting my hopes up for that too terribly much yet. This weeks theme is books that have been on my TBR list the longest and I still haven't read them, which is pretty much impossible for me to figure out because I don't have a proper TBR list, I have a TBR mountain, and I've completely scrapped previous "lists" that I had to start fresh on more than one occasion. There are books on my TBR list because I just desperately want to read them, books on my TBR list because I got them from Netgalley, books on my TBR list because I was supposed to read them for bookclub and haven't finished them yet, so many different places to choose my books from. So I'm going to twist this a little bit to focus on the ten books that have been on my currently reading shelf on Goodreads the longest. So there you have it, the ten books I've been reading the longest because I have major commitment issues (and in some cases lost access to the book before I finished reading it). 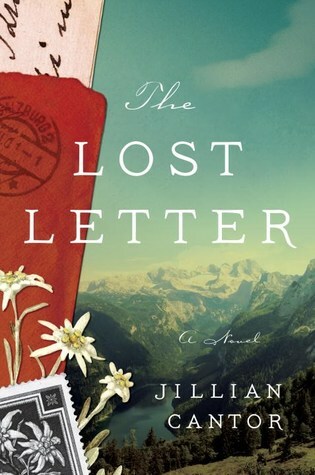 A beautiful, poignant and devastating novel, The Lost Lettershows the lasting power of love. I was excited to read this book and it didn't let me down. I found myself absolutely intrigued by the mystery of the story, trying to figure out what the connection between Kristoff and Katie was beyond the stamp that she found in her father's collection. I'm happy to report that the author led me to the answer before she led fictional Katie to the answer, so I got to feel a little bit smart for figuring it out first. There were just so many little details to the story that made it a slam dunk for me. I got to wish for two separate romantic relationships to blossom (although that's kind of a recipe for heartbreak, honestly), and I got to see true loyalty in Kristoff. Every girl would be lucky to have a Kristoff in her life. 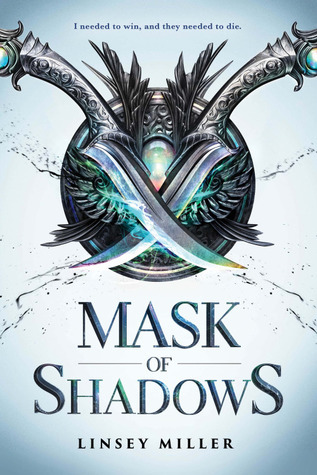 I want to gush about the story because I loved it that much, but I fear that everything I want to talk about would be considered spoilers because I finished reading the story several months ago. While many details are still fresh in my mind like I just read the book yesterday, I know most of what I've retained are the major details. This is a book that I could absolutely see myself re-reading at some point though, and I don't often re-read. I was initially drawn into this story, wanting to learn more about the chittim and trying to understand how they were earned, much like Sunny was. There were a lot of things that just confused me though (although as the story is told through Sunny's perspective and she doesn't fully understand most things initially it would make sense that I would also be confused). I thought it was a bit weird that Sunny was made to do things without any explanations about what was expected of her first though. I'm not sure if that makes the learning more profitable for her somehow, or if the kids were just being thoughtless, or maybe a little bit of both. In any case, I yelled at them a few times to just tell her what she needed to do. My issue with the book is that it felt like a Harry Potter knockoff at times. For example, a group of young Leopard people (witches & wizards) are trained to face off against a powerful adult Leopard person, much like Harry, Ron, and Hermione faced off against Voldemort over and over again. There were a few other similarities too, but I don't want to go too much into them because of spoilers. In the end, the similarities just made the book fall a little flat for me. Nnedi Okorafor’s books include Lagoon (a British Science Fiction Association Award finalist for Best Novel), Who Fears Death (a World Fantasy Award winner for Best Novel), Kabu Kabu (a Publisher's Weekly Best Book for Fall 2013), Akata Witch (an Amazon.com Best Book of the Year), Zahrah the Windseeker (winner of the Wole Soyinka Prize for African Literature), and The Shadow Speaker (a CBS Parallax Award winner). Her adult novel The Book of Phoenix (prequel to Who Fears Death) was released in May 2015; the New York Times called it a "triumph". 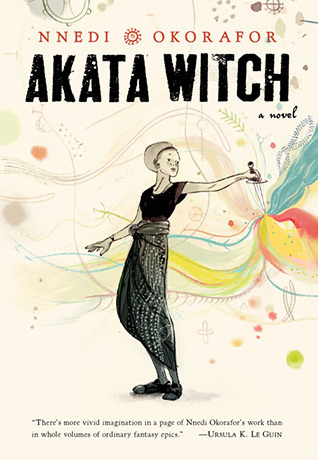 Her novella Binti will be released in late September 2015 and her young adult novel Akata Witch 2: Breaking Kola will be released in 2016. Now, I already have a monthly post I do featuring the books I get in the mail (and it's a lot because I have a serious Goodreads First Reads giveaway addiction), and I'm posting my monthly Read-A-Thon posts again too, which covers the books I receive through Netgalley. And since I am currently technically a displaced person (all my things are packed up on a boat and I don't have a home to call my own at the moment), I'm not currently buying any physical books. So my STS post will feature all the books I've been one-clicking on Amazon or winning in ebook form from Goodreads. Prisoner by Annika Martin and Skye Warren - I snagged this freebie (still free) when I saw it shared somewhere on Facebook. Couldn't even begin to tell you where though. White Rose, Black Forest by Eoin Dempsey - I chose this as my Amazon First Reads book for February. Set in WWII it was a no-brainer. Savage Beauty by Casey L. Bond - I pre-ordered this book for 99 cents, but it's live now and no longer 99 cents. I'm just in love with the cover. Earth Seven and the History Department at the University of Centrum Kath by Steve M.
The Robespierre Conspiracy by Steve M.
Kraken by China Mieville - I bought this on sale for just $3.99 (no longer on sale). My brother is always recommending Mieville's books, so I figure one of these days I should read one of them. I have a very eclectic blog because I have very eclectic reading tastes. I realize this can lessen the effectiveness of my blog in that I'm not a go to source for all things YA for example, but I'd hate to limit myself to just a couple genres, and my blog could be essentially dead space for months on end if I tried because I'd have to branch out from those genres eventually. But also, I just like having a blog where I can post a little bit of everything that suits my fancy, or doesn't.